Permeability meter provides vapour flow measurement capability for construction and land remediation projects. Vapour flow or permeability needs to be controlled through buildings. It affects everything from ground remediation and damp courses, through to building materials and structures – including plasterboard, paint, plastics properties and even people. It affects both the health of the building’s structure and the health of people who live or work inside. To meet the regulations you need to be able to measure vapour permeability correctly. 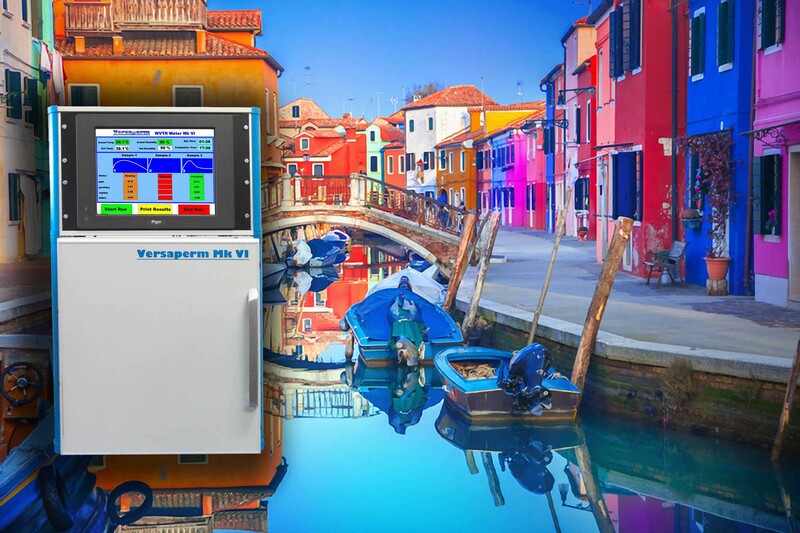 Versaperm has developed a new multi-chamber mass-spectroscopy based instrument that allows you to identify and correct any problems by measuring the permeability not just for water vapour but also for ground remediation gases. The system can be used for finished building products, samples and coatings as well as structures. It is fast, accurate, easy to use and reliable. Products as diverse as paint, plasterboard, membranes, screeds, laminates and sealants all allow you to control the vapour flow of air and moisture throughout a building. Traditionally measuring this is expensive and may take weeks, but with the latest product range from Versaperm it can now be done in as little as thirty minutes for some products, at the same time as being more accurate. Measurements are typically run for long enough for the vapours to establish a steady state which depends on the temperature, the material and sample thickness, but is typically around 24 hours. This stabilisation can be accomplished on measurements taken either external to the instrument or internally in one of its chambers depending on precisely what is being tested. Failure to manage the vapour flow into and out of buildings has been shown to be linked to dust mites, asthma, allergies as well as the collapse of buildings. The equipment is accurate in the parts per million range (PPM), parts per billion (PPB) can be achieved for some materials and vapours. The equipment can measure permeability not only for water vapour but also for CO2, hydrocarbons, oxygen, methane and virtually any other gas or vapour, all at one time.